Adverse wind conditions coupled with the direction of the tide has resulted in significant wave heights across the Solent. At this time, the 16:45, 17:15, 17:45 and 18:15 sailings from Southampton to West Cowes and the 16:45, 17:15, 17:45, 18:15 and 18:45 sailings from West Cowes to Southampton have been cancelled until further notice. Customers are strongly advised to check Red Funnel’s service status at www.redfunnel.co.uk/servicestatus or consult Red Funnel’s travel news feed on Twitter, @RF_Travel_News before travelling. Conditions will be reviewed hourly until safe to return to operation. While no cancellations are expected on this route we are experiencing some delays in light of the adverse weather. Red Jet foot passengers are advised to use this service as an alternative to cancelled sailings between Southampton and West Cowes. 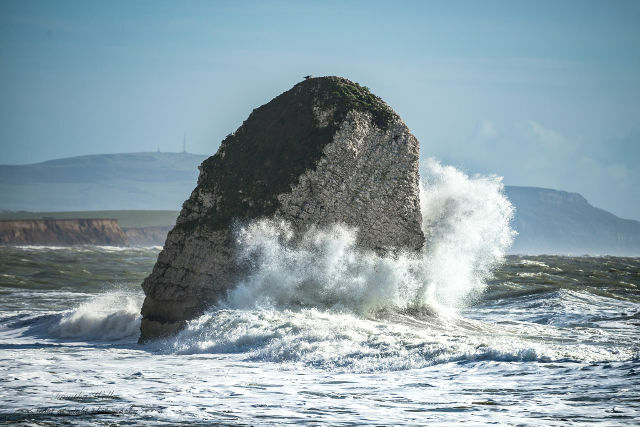 2 Comments on "High waves and strong winds cause cross-Solent travel disruption"
Tim – It would still be an issue – as sometimes bridges are closed in high winds………..